Nintendo’s round ball of pink is off to Dream Land once again this October 24th, in Kirby’s Return to Dream Land. Last year Nintendo Wii users got the exceptionally cute and cuddly Kirby’s Epic Yarn, a quite different yarn-sprawling take, graphically and mechanically, to one of Nintendo’s long-established series. And for good reason, considering that Epic Yarn didn’t originally start off as a Kirby game to begin with. 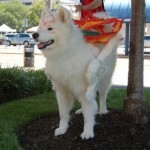 The early intentions for Kirby’s Epic Yarn, and it’s unique thread-and-buttons gameplay, was to be used with a different character in mind (Prince Fluff.) Certainly, that didn’t plan out at the end, as at some point during development, Kirby was handed the staring role. Beyond those shenanigans though, there’s even a more deeper story which ties into Kirby’s Returns To Dream Land. 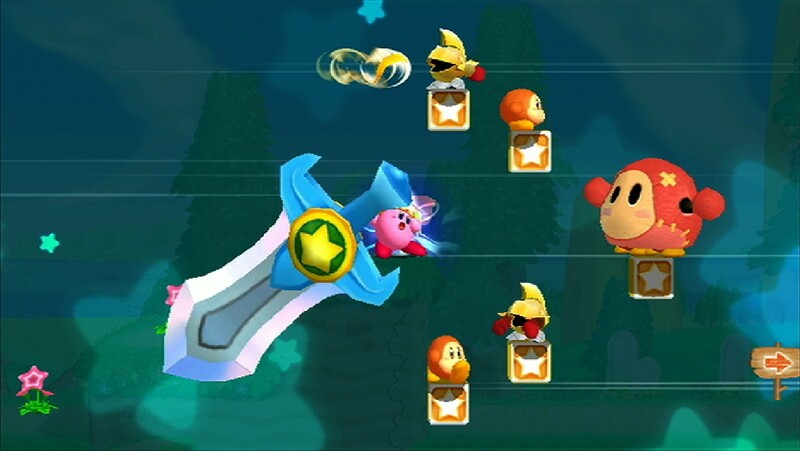 Previously known as Kirby Wii (I believe we mentioned the game not so long ago for a fall release,) Kirby’s Return To Dream Land is your standard outing for the pink vacuum that includes 4 player cooperative play, similar to that of New Super Mario Bros. Wii. 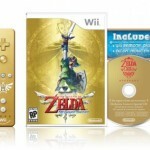 The development of this title, although making the most of the Wii’s hardware, surprisingly started on the Nintendo GameCube, circa 2005. Which soon after got abruptly pushed back when the Nintendo Wii was introduced, then for some time hardly mentioned again, and at one point rumored to be canceled because of the announcement of Good-Feel’s Kirby’s Epic Yarn in 2010 — bringing us full circle to now and the official October 24th release date for Kirby’s Return to Dream Land. So much for rumors, eh? 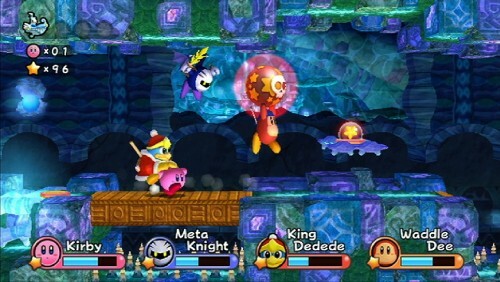 Kirby’s Return to Dream Land is as the title implies, Kirby sucking up power-ups and unleashing it on unsuspecting foes. 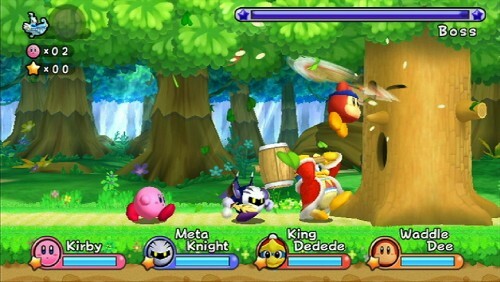 This time, Kirby is joined by four other familiar faces: including Meta Knight, Waddle Dee, and King Dedede as they to retrieve the scattered pieces of a crashed alien spaceship. Yeah, I know, as if plot matters — it’s the gameplay, stupid. In fact here’s a quick bite of off-screen footage of Kirby’s Return to Dream Land from PAX 2011. Again, that’s October 24th for Kirby’s Return to Dream Land. 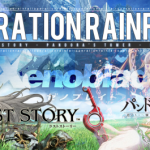 Be sure to also check out our story of what Nintendo was doing back in 1965. Creating baby carriages it seems — go figure!